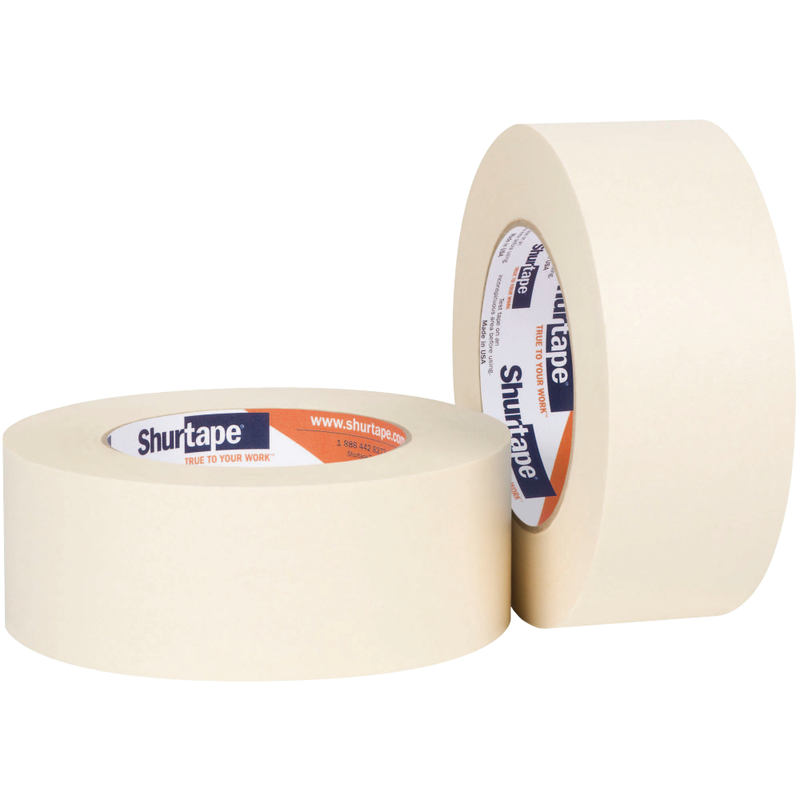 Shurtape performance masking tapes are engineered to take on the heat, yet removal cleanly when the job is done to help tackle a variety of industrial applications. These tapes won't leave behind adhesive residue, only sharp paint lines. 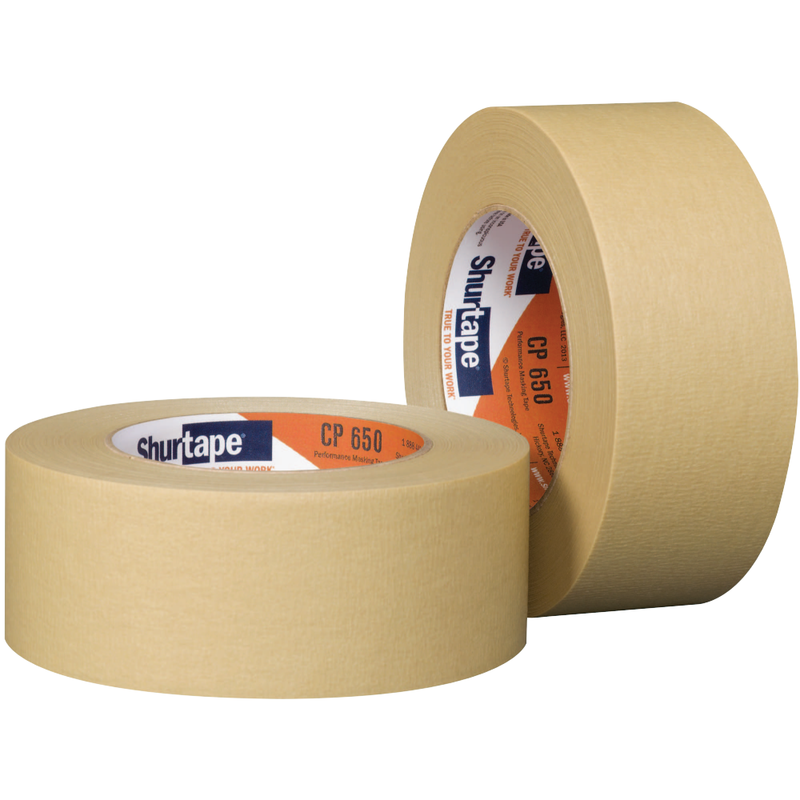 High performance grade, medium-high adhesion masking tape for use in temperatures up to 225 F.
High performance grade, medium-high adhesion masking tape designed for demanding applications in the transportation, marine and metal fabrication industries, as well as for wet sanding. CP 450 features a rubber-based adhesive and solvent- and moisture-resistant crepe paper backing that resists paint bleed-through. CP 450 can be used in temperatures up to 225 F and removes cleanly when the job is done. 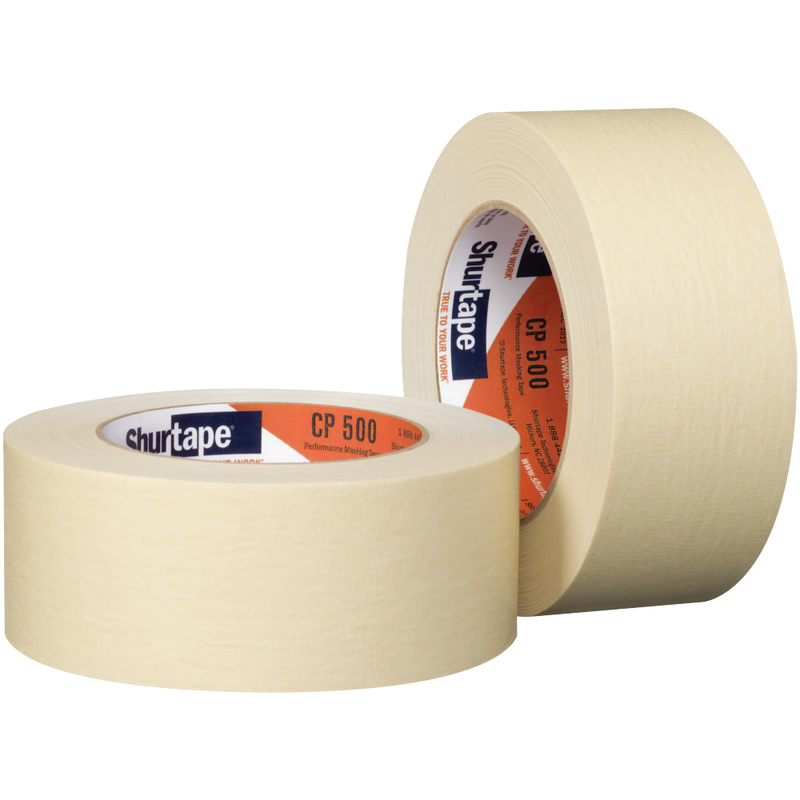 High performance grade, medium-high adhesion masking tape for use in temperatures up to 300 F.
High performance grade, medium-high adhesion masking tape for industrial use in temperatures up to 325 F.
High performance grade, high adhesion masking tape with heavy duty backing for industrial use in temperatures up to 350 F.